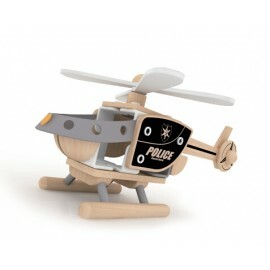 "Classic World Police Helicopter is a perfect addition to your little boy's room. Your child will have fun with role play as they drive their police helicopter and maintain order! Encourages building and engineering skills while developing fine motor and problem solving skills.